Private sector employers added just 130,000 jobs in October -- their lowest level of job growth since April, according to a report by payroll processor ADP. 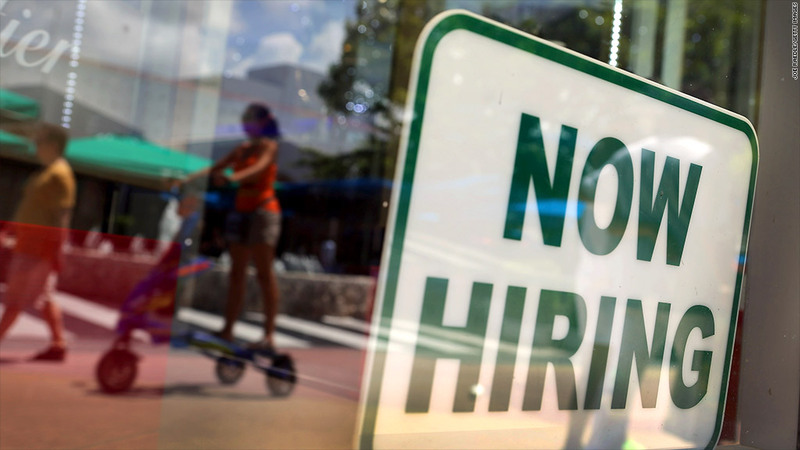 The pace of hiring has been slowing since June, but the government shutdown earlier this month appears to be a main reason for the sluggish hiring in October. "The government shutdown and debt limit brinksmanship hurt the already softening job market in October," said Mark Zandi, chief economist of Moody's Analytics, in a statement. Moody's works with ADP (ADP) to compile the report. Small businesses with 20 to 49 employees slowed their hiring the most dramatically. After adding an average of 30,000 jobs in each of the prior 12 months, they added only 2,000 jobs in October. "If things look very uncertain, and businesses are nervous, normally a small company will be more nervous than a big company," Zandi said. This ADP report is the first significant economic indicator to show what happened to the job market in October. It's also looked at closely for clues about what the Labor Department may say in its more detailed labor report, which shows both job growth and the latest unemployment rate. The Labor Department's report was originally scheduled for November 1, but was delayed due to the government shutdown and now won't be released until November 8. Zandi expects the government's report to show only 100,000 jobs were added in October. The unemployment rate could also rise from its current 7.2%, he said, as furloughed federal employees and government contractors were temporarily unemployed.